The Clark County School District says it cannot hold school as long as the roads leading to the school are in poor shape. The wicked weather to start 2019 will mean a shortened summer break for the Clark County R-1 School District in northeast Missouri. The district has now cancelled class 13 times due to weather this school year. Superintendent Ritchie Kracht said the Missouri Department of Education does not require a district to make up every day missed for weather. With the cancellation of school on Friday, February 1, Kracht said Clark County has received the maximum of ten days to make up. “Then if [the district] misses three days in February due to a snowstorm, we do not have to make them up because we would have met our threshold,” said Kracht. Kracht said the school board voted this week to cancel two planned days off next to help make up for the weather cancellations. Students will now be in class on Presidents’ Day (Feb. 18) and on a previously scheduled professional development day (Feb. 4). The rest of the days will be made up at the end of the school year. The final day of school has been moved from May 14 to May 24. The Clark County School District shared photos of the roads on its Facebook page Thursday. Kracht said it’s frustrating because some of the days off could have been avoided. 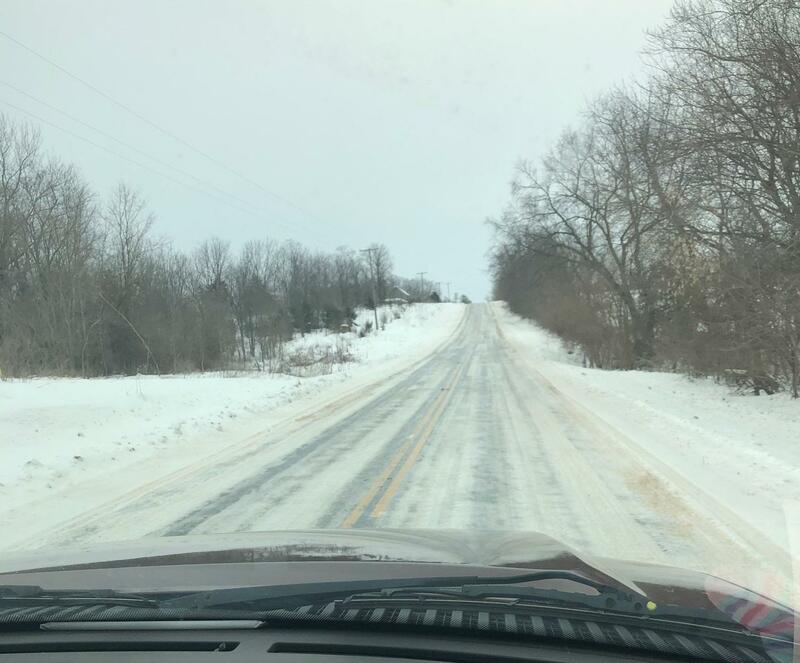 He said Clark County had to cancel school several times because the only roads in the county that the Missouri Department of Transportation treats with salt are Highway 136 and the Avenue of the Saints. Kracht said he’s tried to convince MODOT to focus more on the other hard-surface roads in Clark County, but to no avail. MODOT could not be reached for comment about its road maintenance plan. A former employee of the Clark County School District is in custody for her possible involvement in a threat against the northeast Missouri school district. The head of the Clark County R-1 School District believes criminal charges should be filed following the discovery of a threatening note early Thursday morning. The note led to classes being cancelled Thursday and a significant law enforcement presence throughout the district on Friday. The Clark County School District expected to break ground on the new Indian Pride Learning Center this fall. But that won't happen now that the school board rejected the first round of construction bids because they came in well over budget. The Clark County R-1 School District is preparing for an influx of new students from the nearby Luray School District. About 40 K-8 students will be switching schools after residents of Luray voted to close their local school district because of increasing costs and decreasing enrollment numbers. The Clark County R-1 School District will try to make it easier for a few students to get a diploma. The district’s $9.1-million budget for the upcoming school year includes money for the establishment of an alternative high school. Superintendent Ritchie Kracht says the computer-based system will allow students to work on classes at their own pace. He says Clark County has talked about an alternative school for years, to aid students who do not succeed in a regular classroom setting.